We exchange a spacious house in NANTES (30 min to the South Brittany) with private garden. It's a house of southern style of France. It has 5 bedrooms, 3 bathrooms, a home cinema room, a computer room, a pleasant family room, a kitchen special for the gourmets because all our family love cooking. We have two cars (a van for 7 and a car for 5 persons), as 6 bicycles which will be at your disposal. We would like exchange it with a house for 6 persons in the USA for a period time of 3 weeks in july or august, 2006. We are a non smoking family with no pets at home. Our family is made up of 1 couple with 4 children (age 14-13-8-5). Guillaume has an advertising company of photography and I (Chrystel) works with him. Alix is a 14 year old girl, Maxime teenager a 13 year old, Axel a 8 year old boy and Sixte a 5 year old boy. We like to travel with our children to make them discover the world. The exchange of house is for that the ideal solution. We would like to visit an area of the USA the next summer, preferably during August. We can make a nonsimultaneous exchange by leaving you our house of Nantes in July, because will not be us there. 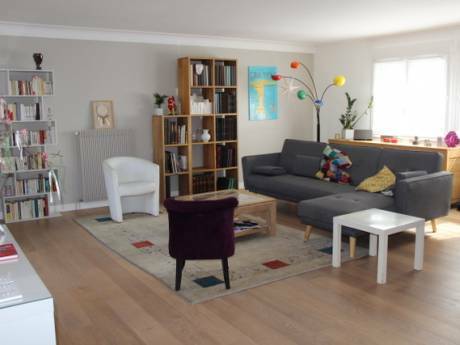 We offer a house in NANTES : there is room for 10 people, a private garden, a huge lounge, a dining room, 5 bedrooms and 3 bathrooms, a home cinema room. Beaches of the south of Brittany are at 30 min drive. Our house is located in a large city but in a very calm district, with an environment of countryside, the garden is very pleasant. Many pretty cycle tracks at the edge of the very close rivers will allow you to go for beautiful walks. We do not have animals. We will be able to accomodate you. 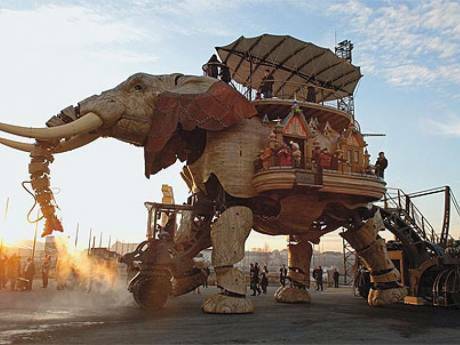 We already made two exchanges (in Canada and in Florida) and our hosts were charmed of their stay in Nantes because there is a lot of places to visit around and it is also a historical city. We place at your disposal a Huge Van with 7 places (Renault Espace V6 3, 5 L with air conditioning and automatic gearbox) .